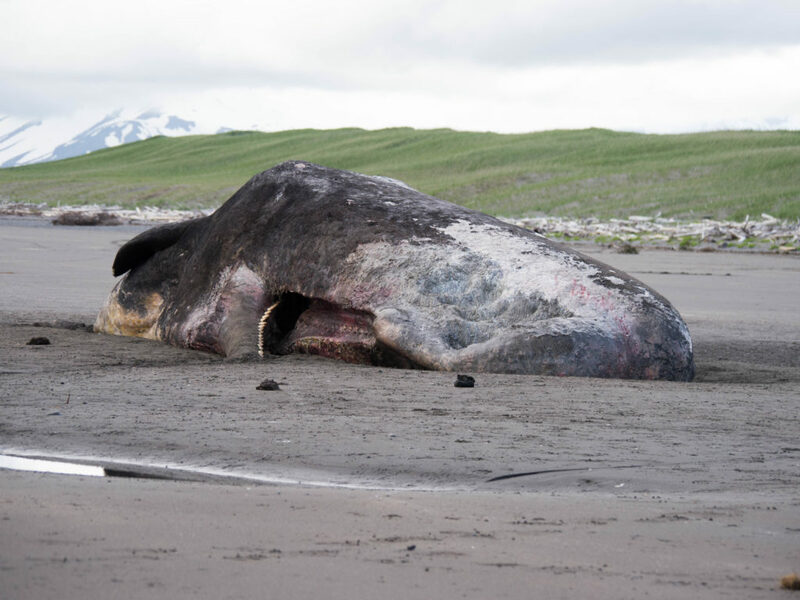 This sperm whale was washed up on a remote beach in Alaska. We saw it with guests after we flew into the area, landed on the beach at a distance, and walked carefully over to the site. 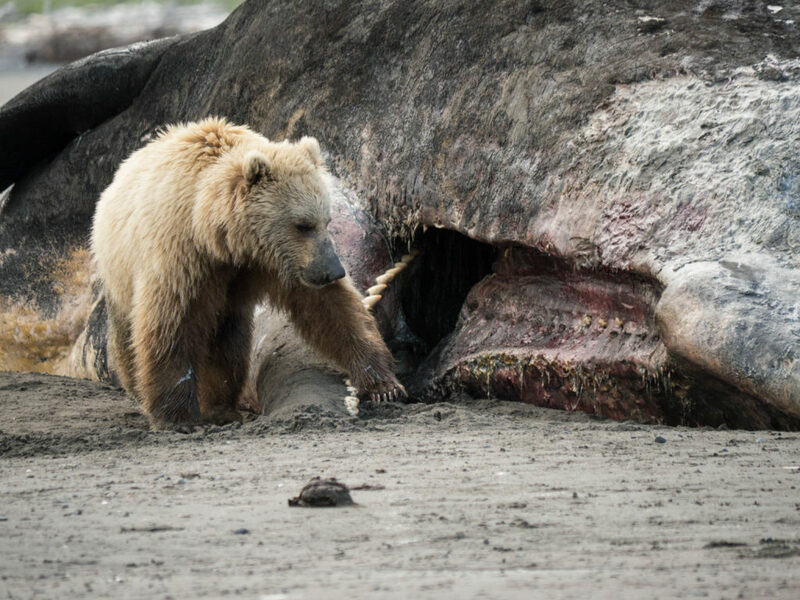 A brown bear was climbing on the whale and eating the carcass. 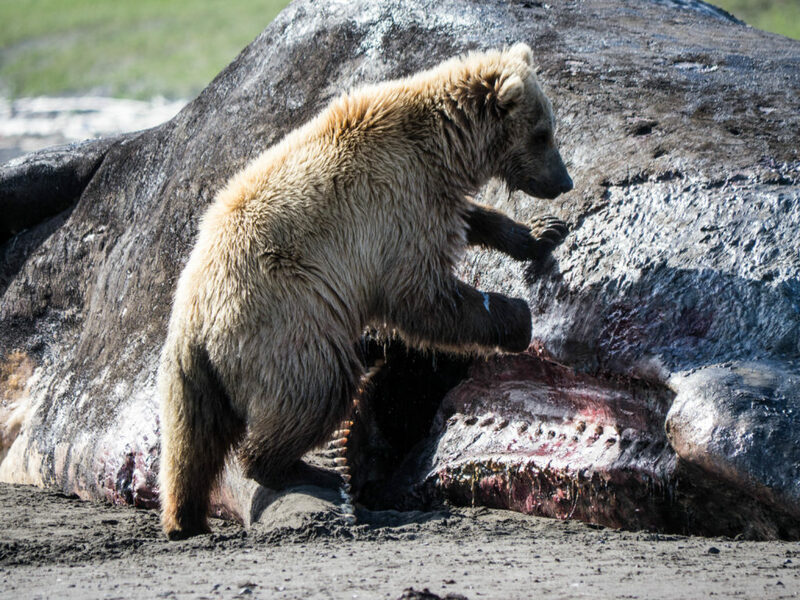 Two days later more bears were on the carcass (at least 3 at one time). Many birds are also benefitting from the plentiful source of food. We also saw some wolves watching from the berm–they likely are also scavenging the meat at times when the bears are not there. This was an incredible sight to see. I was especially thrilled to see the teeth in the lower jaw and the sockets that they fit into in the upper jaw. 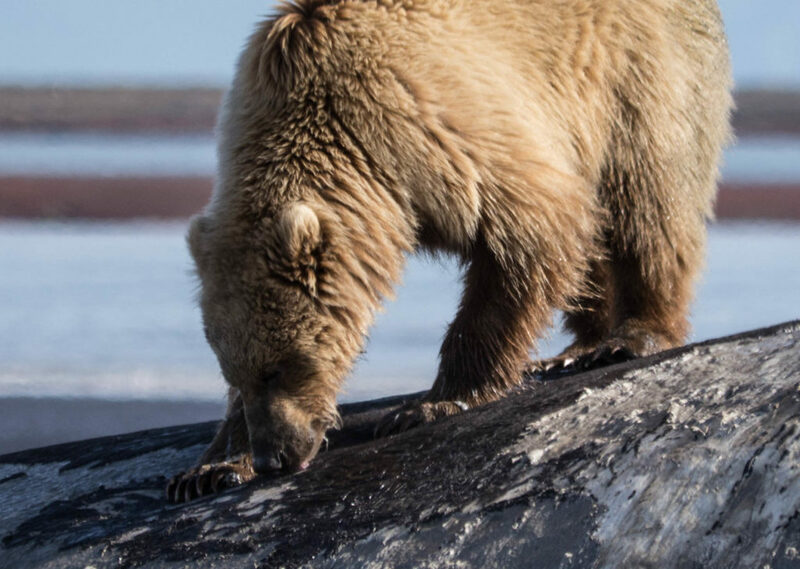 Brown bears are opportunistic eaters. This is a tremendous feast for them to find this early in the season. 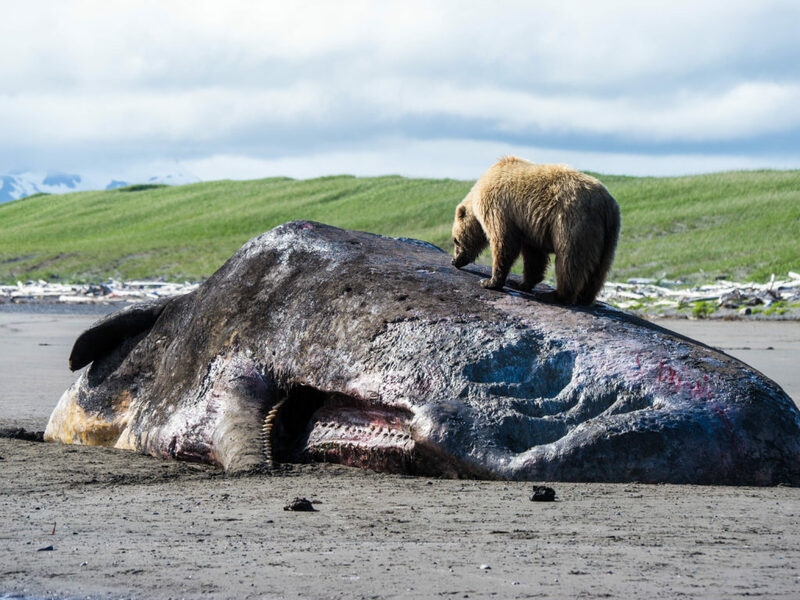 It is probable that other whale carcasses wash up in remote areas and are scavenged by animals but we never know it. I am not sure what will happen to the skeleton once it is picked clean. Perhaps it will wash out to sea. 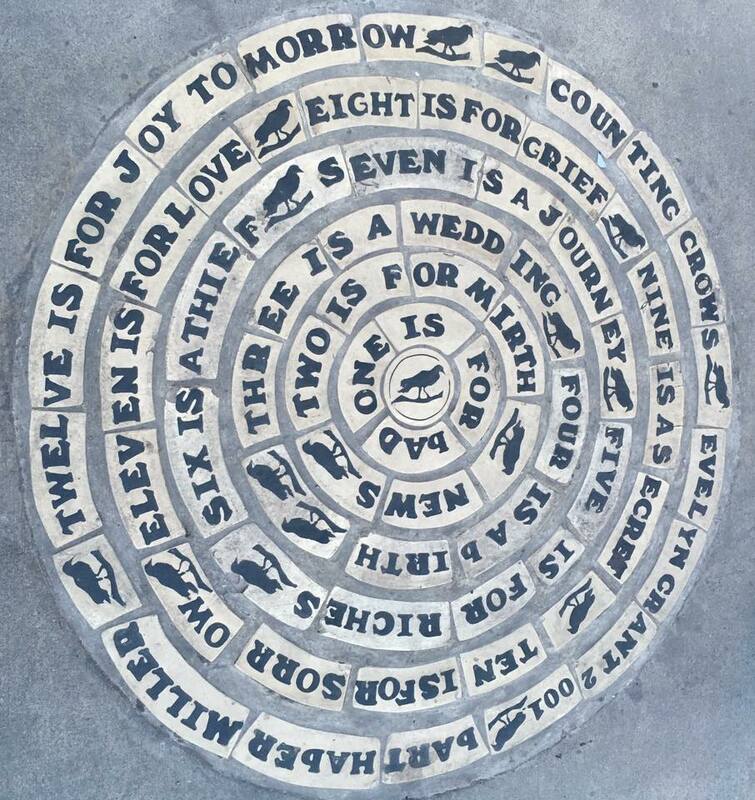 Perhaps it will lay there for others to discover and ponder the stories it might tell. Being a naturalist guide at a coastal lodge in Alaska, I have the privilege of taking guests into a temperate rain forest with old growth Sitka Spruce trees, up into the mountains to hike in alpine tundra, and down to the explore the intertidal zone (we have 28 foot tide swings). 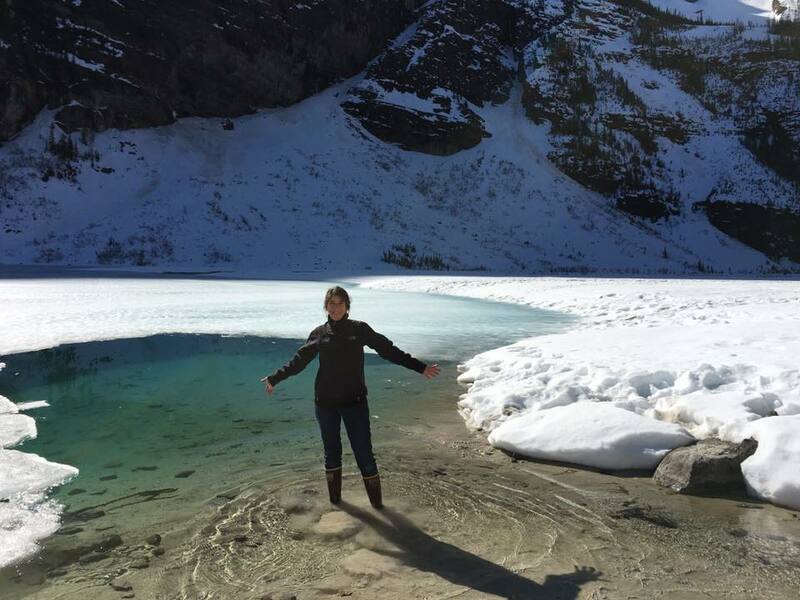 I want to cultivate curiosity that lasts long after a memorable trip to Alaska. This entry was posted in Alaska, Tutka Bay Lodge on June 14, 2016 by Karyn Traphagen. 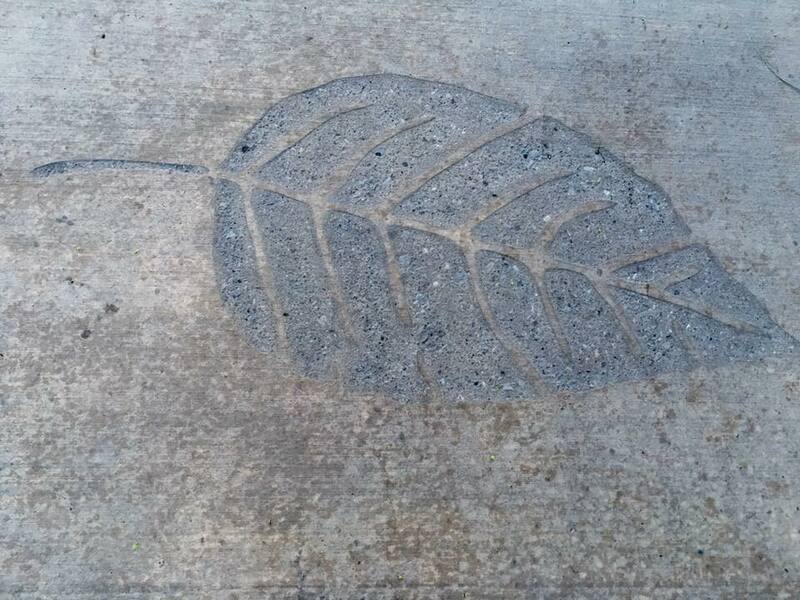 This entry was posted in Alaska, Travel on April 25, 2016 by Karyn Traphagen. I was glad to hear that the roads that were closed due to wildfires were now open and that I would not have to detour or wait to get to Fort Nelson. Although I didn’t see fire, I did drive through smoke and later through a large burn area. The trees were burnt all the way to the edge of the highway on both sides. And then just as quickly as the green turned to black, it turned back to green again. The fire is so fickle. 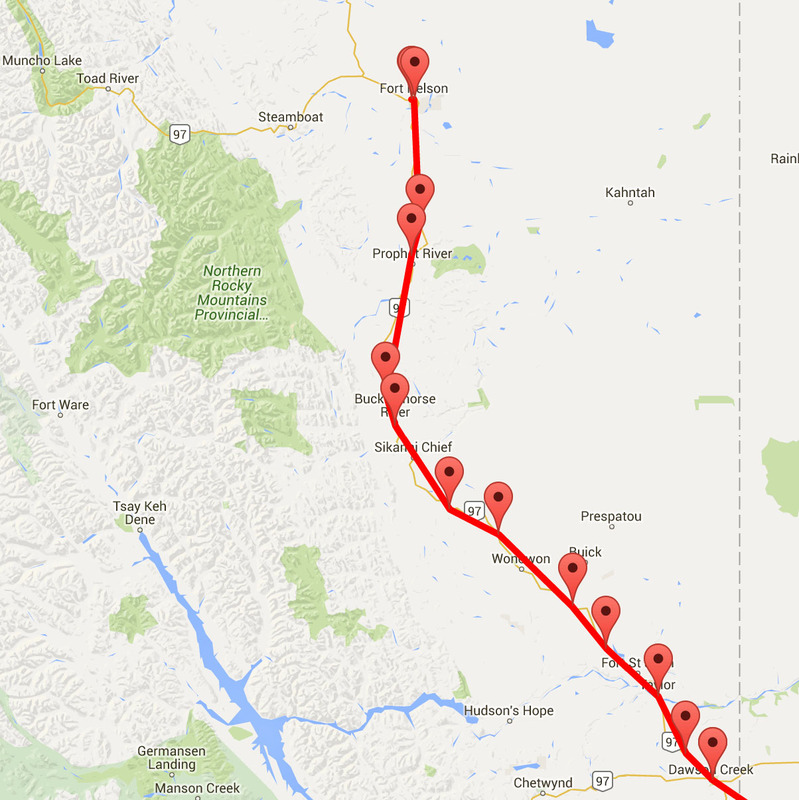 Earlier this week there were 38 fires burning in NE BC, today they are down to 33. Tomorrow night some rain will come into the area and will help the effort to control the fires. Most of the people staying at the local hotels are not tourists. Most are energy workers or road construction workers. There are two main ways that you can spot a hotel that hosts these seasonal/temporary/regional workers: 1) breakfast and coffee begins at 4am, and 2) there is a basket of little blue disposable booties at the door to put over your muddy work boots. Some hotels even have a mudroom before you enter the lobby. The breakfasts are pretty substantial (and come with signs that ask guests to not pack a lunch from the breakfast fixings). Many of the hotels also have “customer appreciation” at the end of the day. Instead of the typical urban offering of a happy hour with wine, the hotels provide pizza and beer for anyone staying at the hotel. When the road sign says to be aware of an Extreme Grade Ahead, they mean it. After traveling for miles and miles along flat prairie and farmland punctuated by the occasional forest stand (usually a logging enterprise), the precipitous drop (and winding road) into a canyon to cross over the Peace River can give you heart palpitations and white knuckles. The only thing worse than driving down these roads along with 18-wheelers is being able to see the Taylor Bridge that will get you across the river every inch of the drive. You can see it for miles. You can worry about it for a long time. This two-lane, high-in-the-sky bridge taunts you. And just when you think it can’t get worse, you come up to the edge of it and see that it is a metal grate all the way across. No pavement. You can see down into the canyon and at the river the entire time. Sigh. 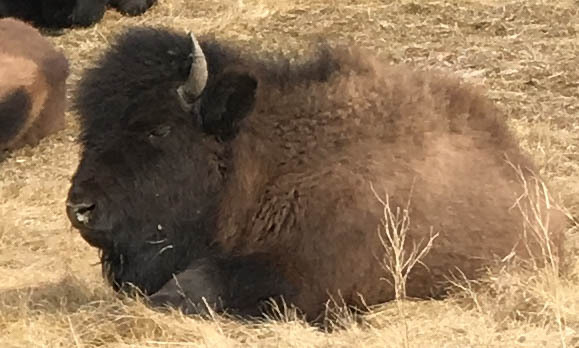 I’m told that tomorrow I will be entering a highly-likely-to-see-wildlife area (buffalo herd, rock sheep, and others). Today I saw lots of wildlife… signs. But not much wildlife. I saw signs for caribou, moose, deer, and even wild horses. I did see one small, scrawny, black bear on the side of the road. Unless it was a huge, bulbous, ugly dog. Fort Nelson is another of those hubs for the energy workers (gas, oil), loggers, and road construction workers. But the prosperity that the town gains from supporting these industries is put to good local use. 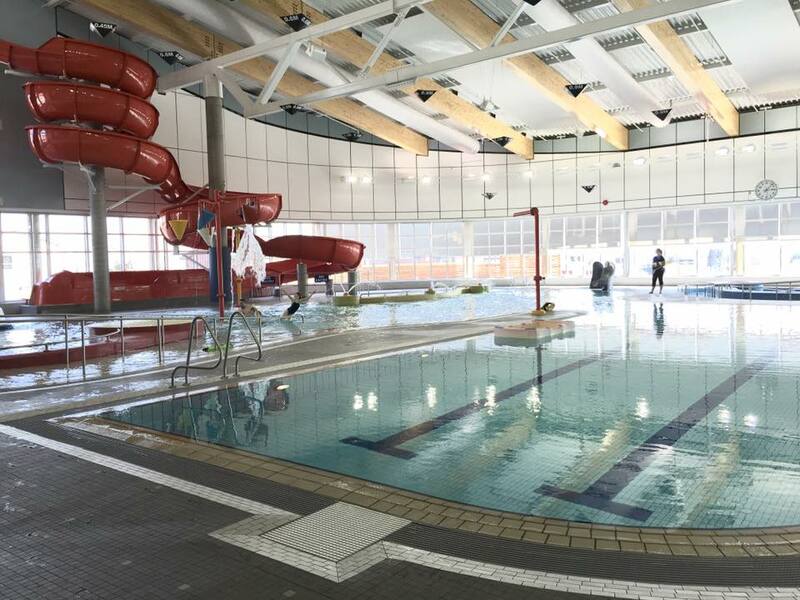 Their Fort Nelson Aquatic Center was a wonderful surprise. For $5 (CAD) I was able to use the facilities. They have a large warm pool (with submerged benches along some shallow areas), a separate lap pool (at a cooler temperature), a climbing wall over the water (! ), a 3-story spiral water slide, a huge hot tub, steam sauna, dry sauna, and every kind of amenity you could want. It was immaculately clean. The lifeguards did not sit on benches, they walked around and were actively engaged in their watchfulness. The Rec Center also has an ice rink, a curling rink, a huge indoor climbing wall, an elevated walking track, and an indoor playground. Miles driven so far: 3,647. Onward! 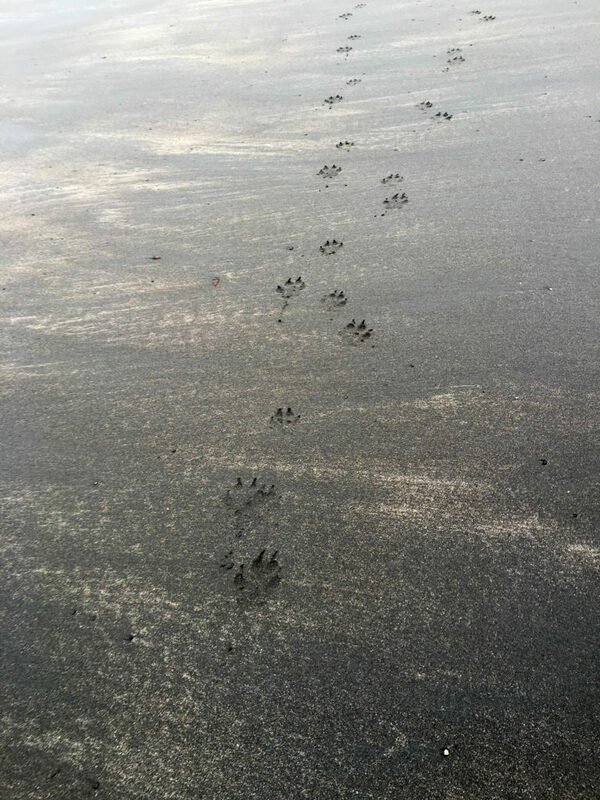 This entry was posted in Alaska, Travel on April 21, 2016 by Karyn Traphagen. I left the sleepy town of Jasper (sleepy, because it is still pre-summer season) and as I left, I passed 20 elk. I really enjoyed my two days in Jasper and I’m glad I chose to stay there for my day off. I was severely disappointed that the Miette Hot Springs were closed. I have one more chance for hot springs in a few days. The Liard Hot Springs are open year round, so I will plan to stop there on Friday. Most of the (infrequent) traffic on the road today was trucks. Either logging trucks or gas/oil trucks. There were huge warning signs to NOT pass a logging truck because the logs could fall on you. I wonder how often that happens to justify all the extra signs! The most beautiful part of today’s journey was through a stretch called the Highway of Wildlife Sanctuary. 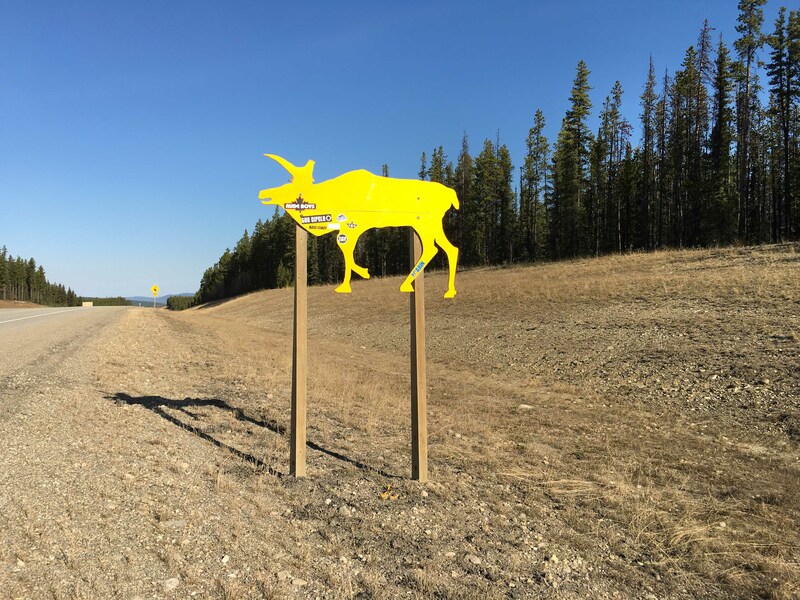 There were many signs to watch for caribou crossings, but I never saw any caribou. I did see some deer. Leaving the high Rockies, I started to see more forested areas. Also, the types of trees changed. Many more deciduous trees (especially birch). The bright Spring green of the just-beginning-to-leaf-out trees seemed to be fingers stretching to try to touch the summits. Further along, stands of birches were being overtaken by pines. Rising up between the pioneer species (first to recover after a fire), the pines and spruces will eventually rule boreal forest. Succession in its various stages could be seen along the route. I enjoyed stopping at Grande Cache. This was the last height of land that I drove today. The town gets its name from the fur trappers’ elevated cabin that held a cache of furs through the long winter before they were able to trade them. There was a quaint interpretive center with lots of history and friendly folks. The furs on display were interesting. Grand Prairie was culture shock after days and days of wilderness. It is a much larger city than I anticipated. I quickly filled my gas tank and headed out of town. The rest of the drive was through prairie and farmland. I miss the mountains and the trees. Alaska is truly calling. 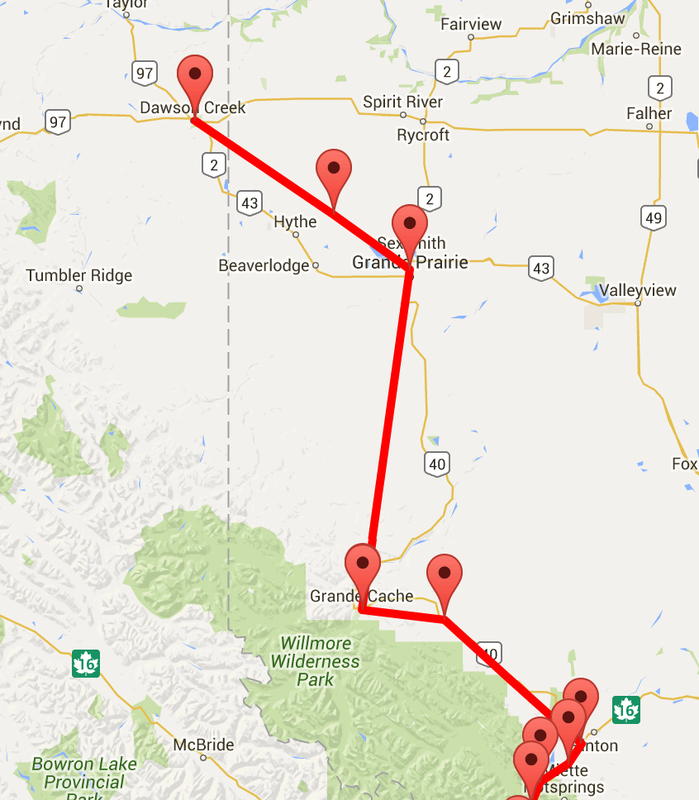 Dawson Creek was also larger than I expected. 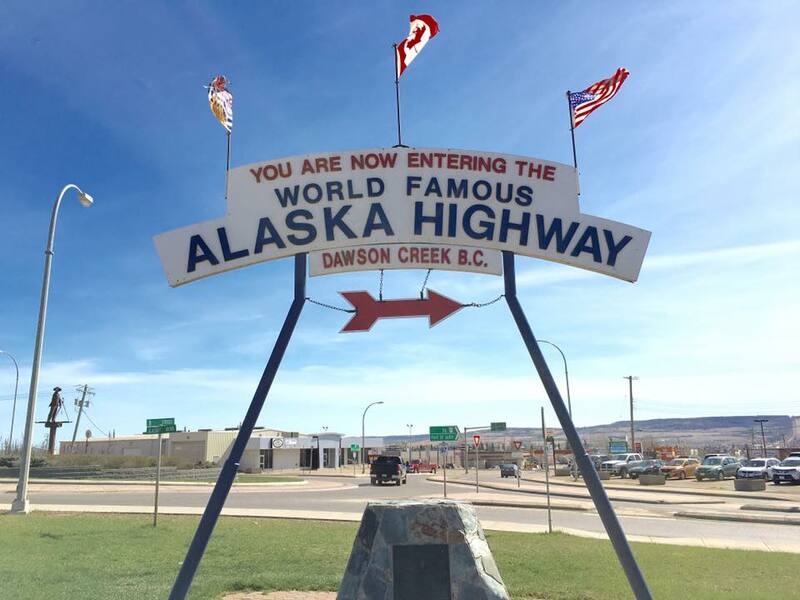 I was glad to see the sign that I had finally arrived at the beginning of the Alaska Highway! Mile 0. I did purchase a few token souvenirs to commemorate my journey. A European bakery next-door to the Visitor’s Center was a must-check-out stop. I’m looking forward to moving into more rural areas again tomorrow! On to Fort Nelson. This entry was posted in Alaska, Travel on April 20, 2016 by Karyn Traphagen. 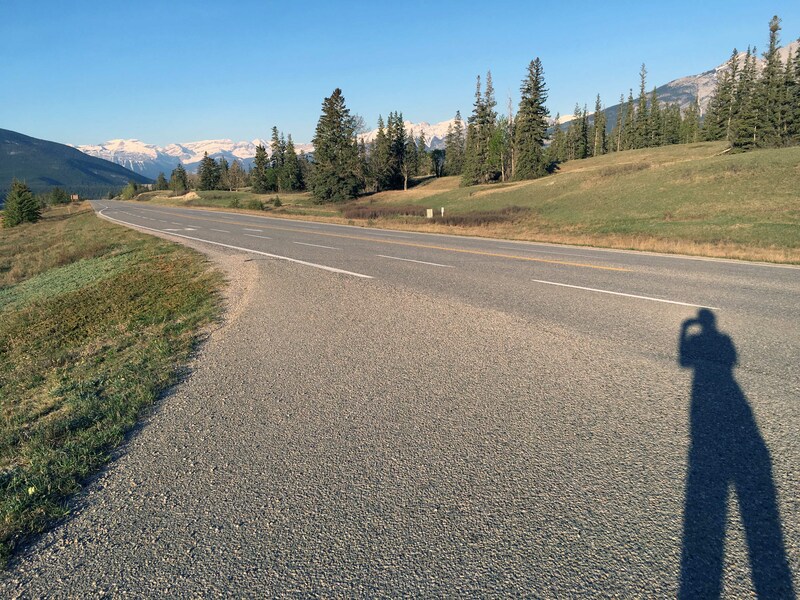 On the road early to spend as much time as possible in the Canadian Rockies. 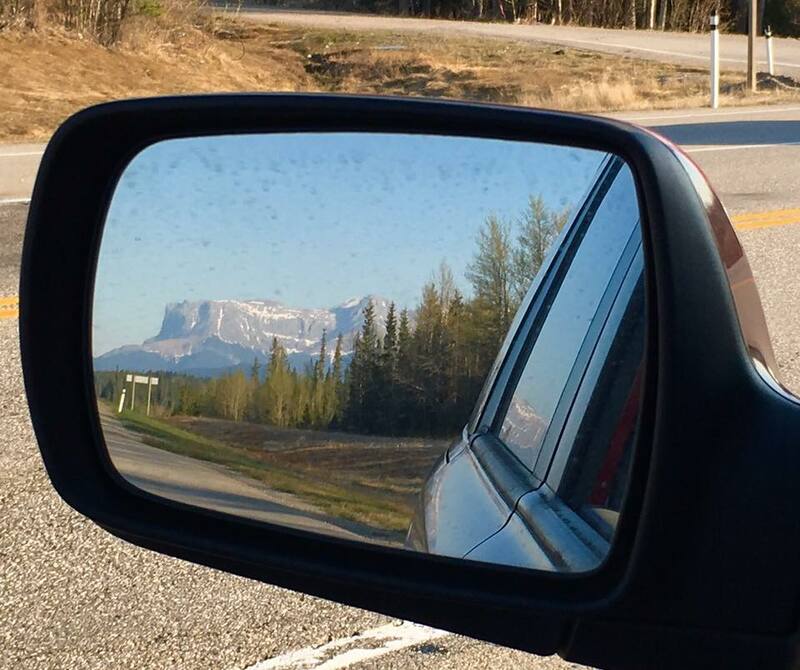 I drove through Banff, but wasn’t tempted to look at anything. Reminded me of a tourist mountain town in the Adirondacks. 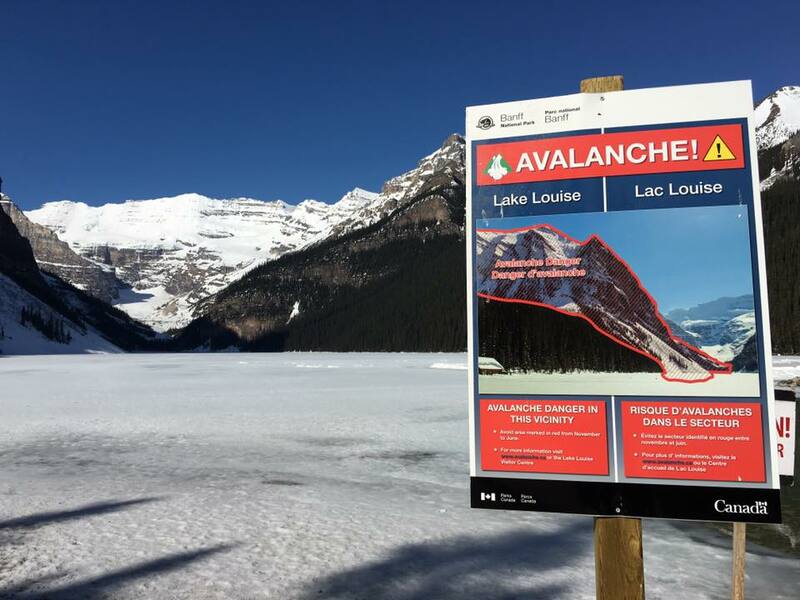 Lake Louise was a beautiful stop. Unfortunately, the world-renowned blue water was still frozen. I did hike around the lake to a place that had a tiny edge melted and I put my boots in. The blue color is from rock flour (or glacial flour). Rocks are pulverized into superfine-grained silt by glaciers and they are suspended in the water of the lake. They absorb most colors of the spectrum, but reflect the blue-green wavelengths. 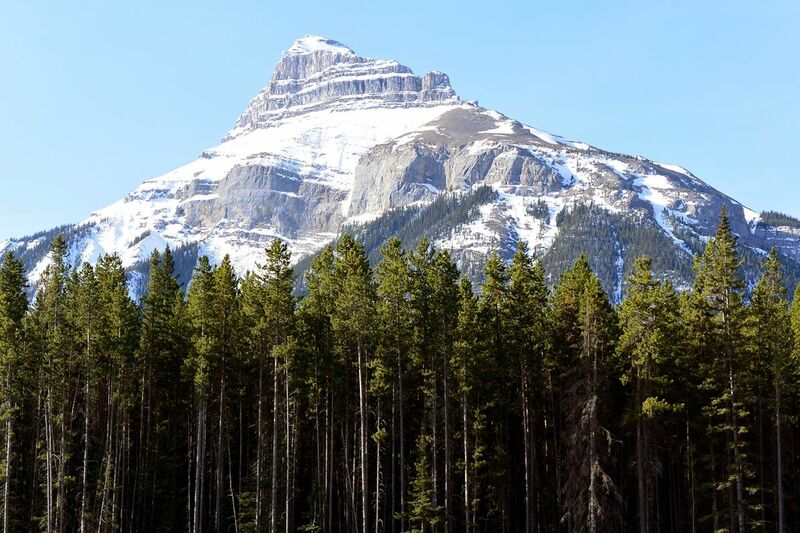 The Canadian Rockies are entirely sedimentary layers of rock (e.g., limestone, sandstone, and shale) that have been thrust upward and toppled over by tectonic plate action and then weathered by glaciers and water. They are more jagged than the American Rockies due to the glaciers. Daily Wildlife Report: I didn’t see any bears or woodland caribou. 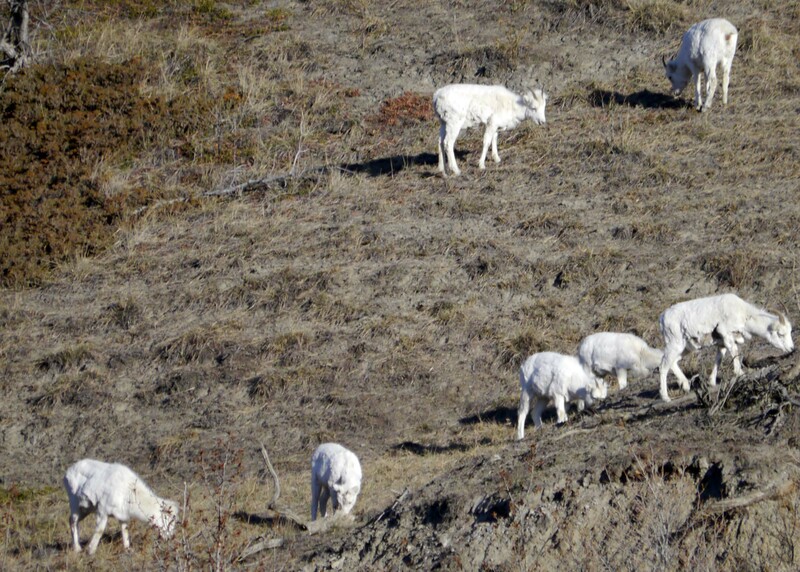 I did see mountain goats on a very sheer cliff! Apparently there is a good chance I’ll see elk in Jasper. 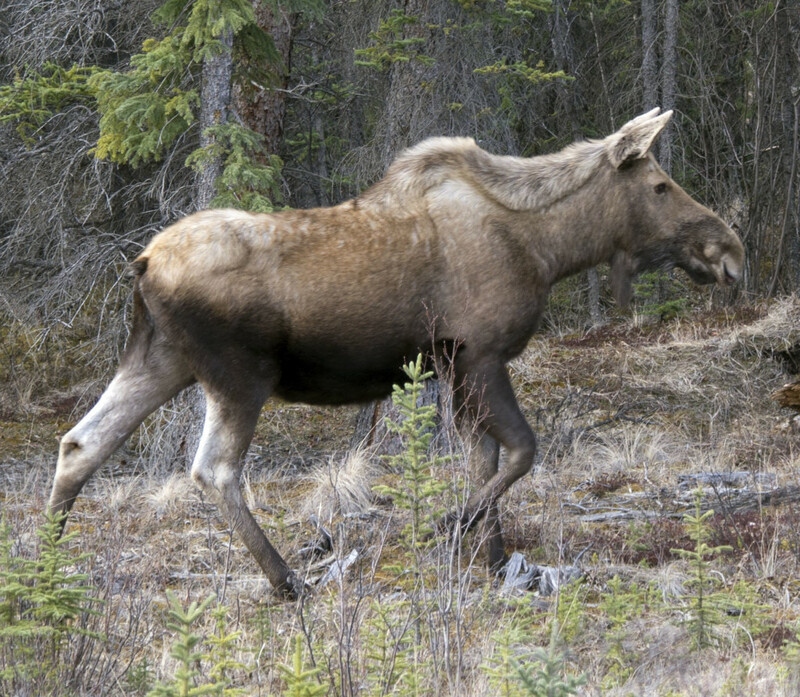 They are the equivalent of the Alaska moose in Homer. One recommended overlook was Peyto Lake. I pulled over at what I thought was the parking area and the “quick walk to the overlook.” Well, as soon as you leave the parking area, there is snow pack. You climb upward for almost a mile. I was beginning to wonder about this wide, snow-covered trail, when I saw a “No Parking” sign low in the snow. Apparently the road still had about 4 feet of snow on it. As I got closer to the sign to take a photo, I post-holed up to my hip. Should have brought the snowshoes! The summer parking area really is adjacent to the overlook, but for now, it’s a snowfield. 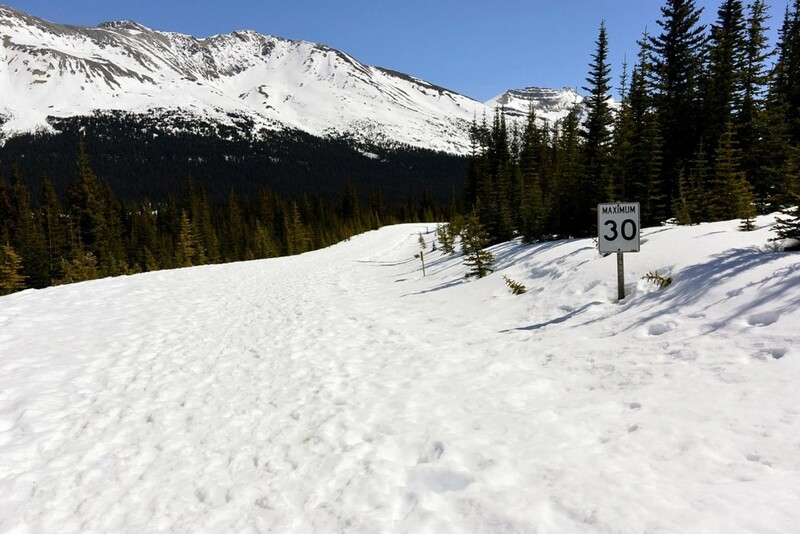 It was fun to see all the road signs (see the 30 km per hour speed limit sign below) and interpretive signs down at dwarf level due to the snow. The overlook was really gorgeous, and I heard an avalanche while I was there (I was in no danger). I think I’m spoiled by the glaciers in Alaska. We have such remote access that I may have been a glacier snob today when I opted to not take the giant tourist bus to the glacier to walk around on a small area. It think the icefield and glaciers looked amazing from the road. I didn’t need the tourist center and busloads of (mostly international) travelers. Overall, the parks were empty today, but that one area had lots of people. I can only imagine what it would be like in the summer during the high visitor season. 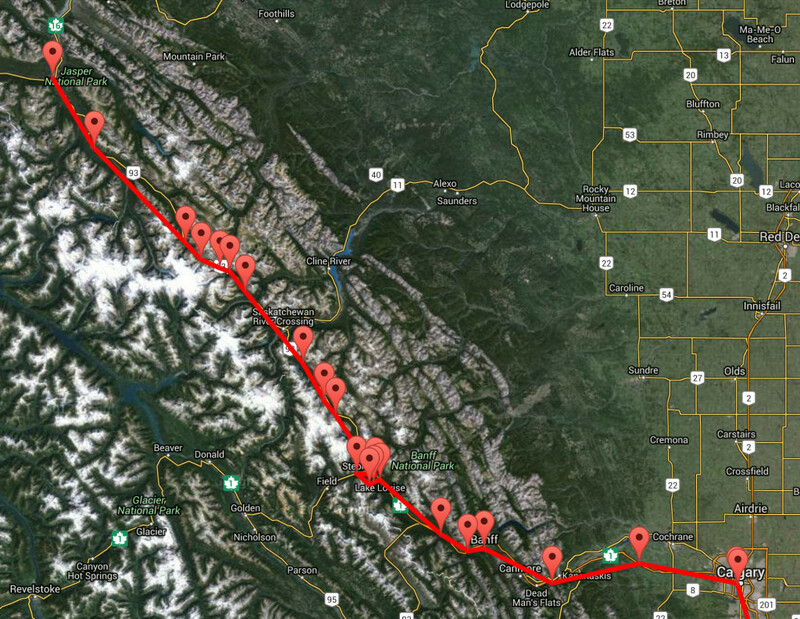 I added photos to almost all of my waypoints today, so take a look at my TrackMyTour website to see some of them. While the photos are fun to share, there were several times today that I thought poetry would better represent what I was experiencing more than photography. I’ll have to work on that. 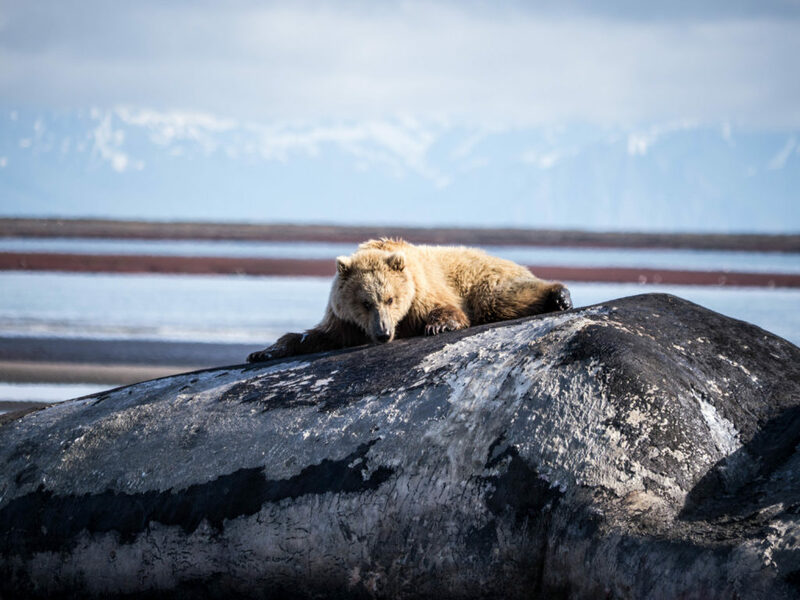 This entry was posted in Alaska, Travel, Uncategorized on April 19, 2016 by Karyn Traphagen. Slept in a little this morning (6:30am) and spent time with Rachel, enjoying a leisurely coffee, pastry, and crepe at a French cafe in Bozeman. Then we headed out for a quick hike up Pete’s Hill (Burke Park). The view of the surrounding mountains was matched by the splendor of the tiny wildflowers blooming at our feet. I drove through the Rockies today and I wish I could show you pictures. There were no turnouts or scenic overlooks to stop and take photos. But trust me, the name “rocky” is apt. The strata are just so stunning. The road cuts through the rock and reveals eons of history. After zig-zagging across the Missouri River a few times, I headed back into the flat grasslands of northern Montana. I think some of these farms and ranches were the size of the city of Durham. There was not a cloud in the sky and I could see for miles and miles and miles. In addition to farmland and pastures, I saw some oil fields. The rigs were much smaller than I imagined. Wildlife is starting to pick up. The smallest creature I saw today (other than the poor schmooshed insects on my windshield) were two little prairie dogs at a rest area in the grasslands of Alberta. The largest animal I saw (other than at the truck stop) was a huge elk in Montana!!! I was so excited to see that elk. There were signs to watch for bighorn sheep, but I didn’t see any. Calgary roads are incredibly complex. They have some kind of loopy-doopy thing that is no where as simple as a clover-leaf. 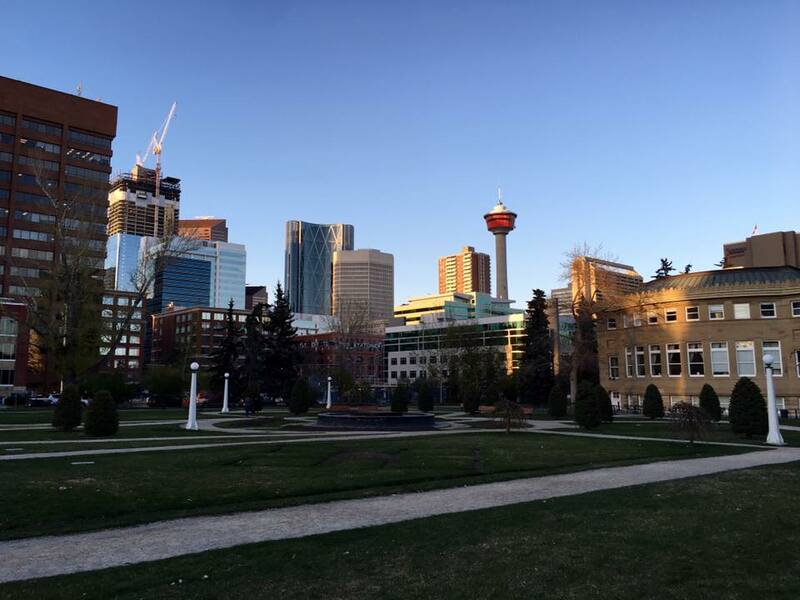 However, they make up for it with a really cool downtown area. This entry was posted in Alaska, Travel on April 17, 2016 by Karyn Traphagen. Today started with snow in ND and ended with sunshine in MT. Leaving North Dakota the snow looked like someone had placed a lace tablecloth over the rocky outcrops and buttes that punctured the ground. 80 mph speed limit. Whoa. I drove through a National Grassland. I didn’t even know we had National Grasslands. I saw two buffalo. Drove through the Theodore Roosevelt National Park. Started to see some more interesting rock formations. Some look like elaborate layer cakes with all manner of amazing flavors. A beautiful pheasant greeted me by the side of the road as I passed into Montana. Unusual-Place-Name-Of-The-Day: Bad Route Road. I’d love to know the backstory to that one. I saw two incredible beautiful black horses grazing on the top of a hillside with a huge panorama behind them that stretched for miles. It was stunning. Montana is too big for photography. Nothing captured by a camera lens compares with what the eye sees. 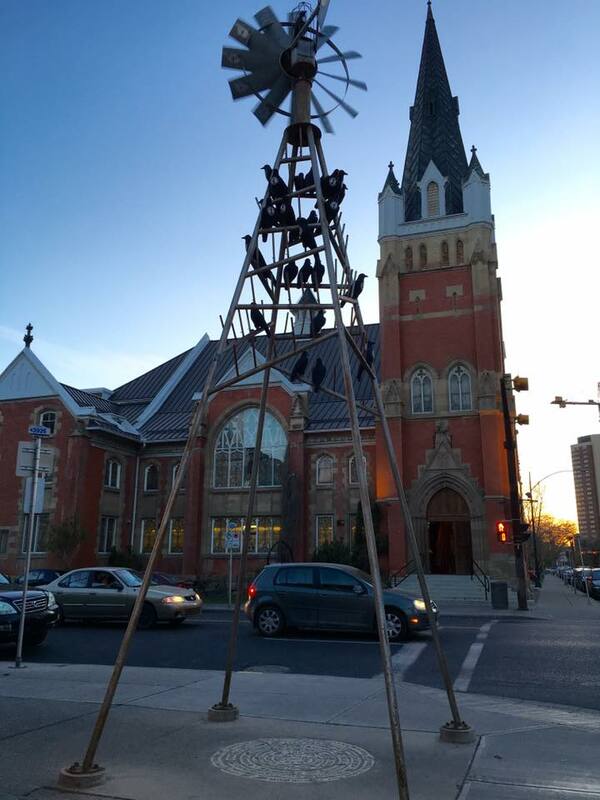 I think there should be a category of art for power line towers. Some looked like people, some looked like cattle with horns. When there are so few trees, your attention goes to these structures. I saw several fields full of young calves and their mothers. The calves romp about and try so hard to keep up with the adults. There were flat places in eastern Montana where I had a 360º view horizon to horizon to horizon to horizon. I could see for miles and miles. Again, no photo captures it. Just before Billings there was a vast burn area on the south side of the highway. The north side of the highway had homes and businesses untouched. I can only imagine what it must have been like to have that wildfire so close and then to have it not jump the highway. I listened to local radio for most of the day. My favorite station had a slogan “The frequency for your delinquency.” You can tell a lot about an area by the kinds of advertisements they run. As I left Billings, I was going up a slight hill. As I crested the hill, the Rocky Mountains came into view. What a surprise to see them all of a sudden. It takes your breath away. I kept wondering what the original pioneers thought when they saw this obstacle that stretched north to south as far as you can see. I had a tremendous time catching up with 5 friends from Alaska. I am so grateful for their hospitality. 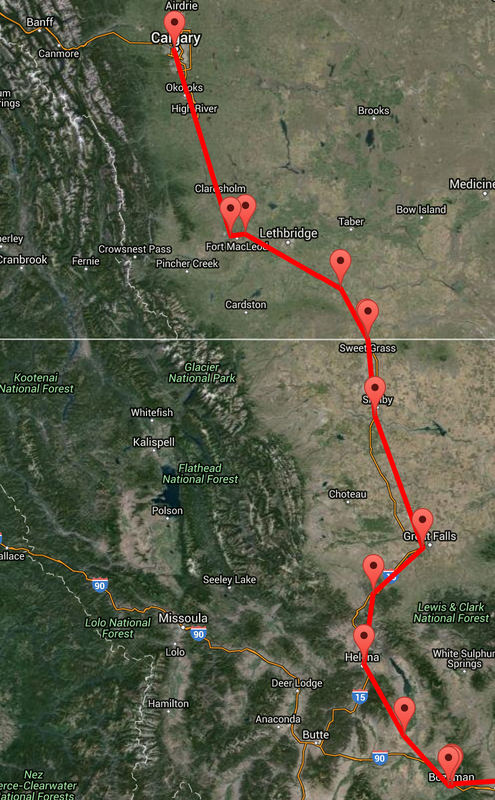 Tomorrow I drive into Canada and will end the day in Calgary! Trekked across Minnesota and most of North Dakota today. So many farms and ranches. The open range in ND was not something I was expecting. Most-Inspiring-Town-Name of the Day: Bloom, ND. You know you are have been on a long, straight highway when you start to test your wheel alignment just for fun (was surprised that I sometimes pulled to the right, but it could have been the wind). Also, when the curves in the road are special attractions. I re-established my skill to determine the temperature of the outside air by detecting the amount of aroma produced from the freshly spread manure on farm fields. I honed this skill in Cortland, NY and the smell always reminds me of Spring. Thousands of birds swarming over farm fields with ribbons of undulating grace. Mesmerizing. Everyone is super friendly. And they are universally amazed that I’m driving from NC to AK. 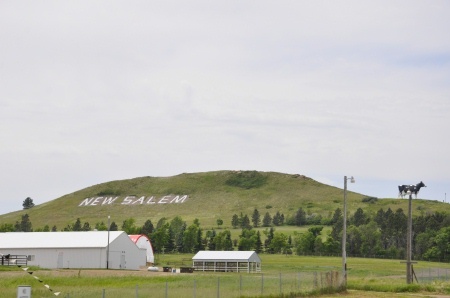 There is a huge cow on a hill (one of the only ones I saw–the hill, not the cow) in New Salem (see photo). I nearly ran over a SUM (Small Unidentified Mammal). I’m choosing to believe it scurried away in time. Hey, I checked, and my front wheels are clean! A tumbling, tumbleweed actually rolled across the highway right in front of me. How poetic. Near Dickinson there is a place called the Enchanted Highway. There are HUGE scrap metal sculptures. I only saw a few, but I’m tempted to go back and look for more (especially after I Googled the Enchanted Highway. 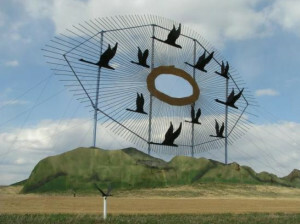 See the “Geese in Flight” photo below. Tomorrow I’ll be heading to Bozeman, MT and will spend the night with one of my Tutka Bay Lodge crewmates from last year! Can’t wait to see Rachel Esbjornson again! This entry was posted in Alaska, Travel and tagged #AlaskaGuideLife, Dickinson, Enchanted Highway, Minneapolis, Minnesota, North Dakota, RoadTrip2AK on April 15, 2016 by Karyn Traphagen. 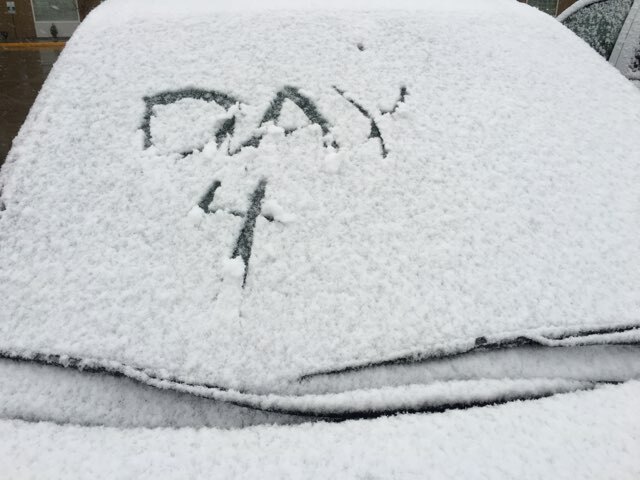 Yesterday (April 13) I began my road trip from North Carolina to Alaska. I’m using the TrackMyTour app that creates a map of my route, with waypoints, comments, and photos. You can follow my trip with this link: Alaska Road Trip. I’m also posting notes about each day’s adventures on my Stay Curious Facebook page (you don’t have to use a Facebook account to access that page). Once in Alaska, I’ll be using the Stay Curious FB page to post photos all summer long. When I have time, I’ll post some photos over here too. 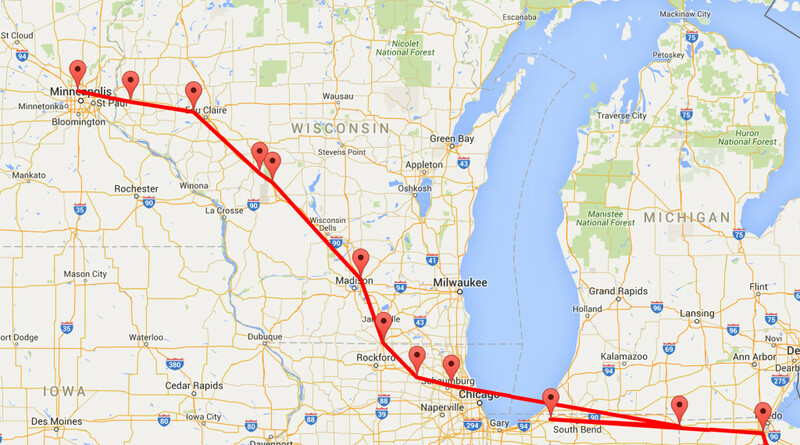 Here’s the map from today’s route (about 660 miles from Perrysburg, OH to Minneapolis, MN). 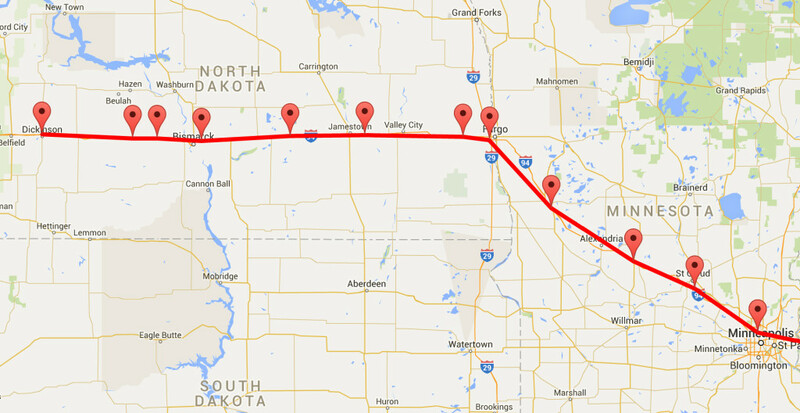 Tomorrow I’ll drive across North Dakota. I’m hoping to see some interesting things. I’ve never been in North Dakota before! This entry was posted in Alaska, Travel and tagged Alaska, road trip, RoadTrip2AK, Track My Tour on April 14, 2016 by Karyn Traphagen. One of my favorite things about working at Tutka Bay Lodge this past summer was living on the Widgeon II. This unique boat has an amazing history. We have a scrapbook kept on the Widgeon for guests to see the process of the transformation from ocean vessel used to transport troops, tender herring, and capture crabs. I hope this online version gives more people the opportunity to enjoy this part of the story! Of course, these photos don’t show the updates that Kirsten and Carl Dixon (and the team at Within the Wild Adventure Lodges) did after acquiring the Widgeon from Keith Iverson! They did a lot of work to take it to the next level: The Cooking School at Tutka Bay! Stay tuned for more stories and photos of this amazing vessel! 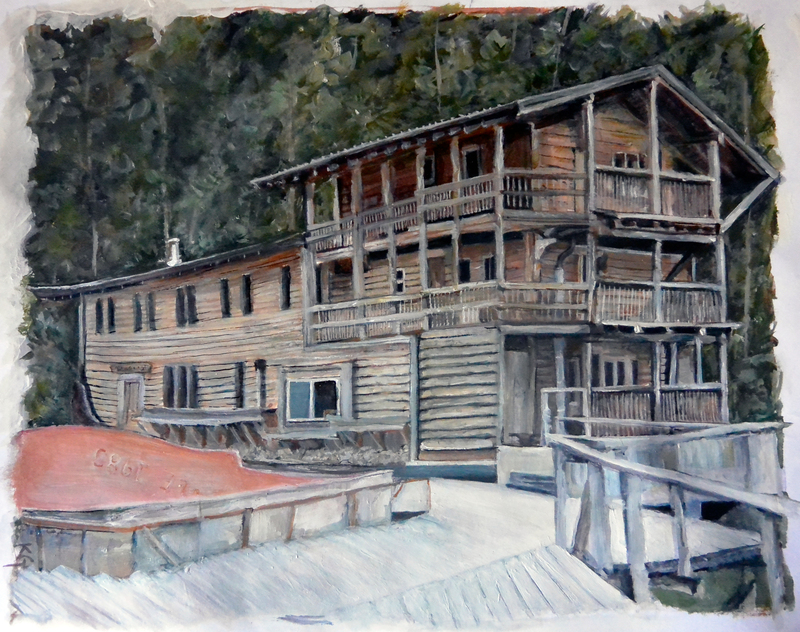 This entry was posted in Alaska, Tutka Bay Lodge on January 4, 2016 by Karyn Traphagen.